It was a disheartening finish to a very long day. The city lost at the Coastal Commission Thursday evening in our effort to have the Coastal Rail Trail built along the ocean on Highway 101, through 1.3 miles in Cardiff west of the railroad tracks. 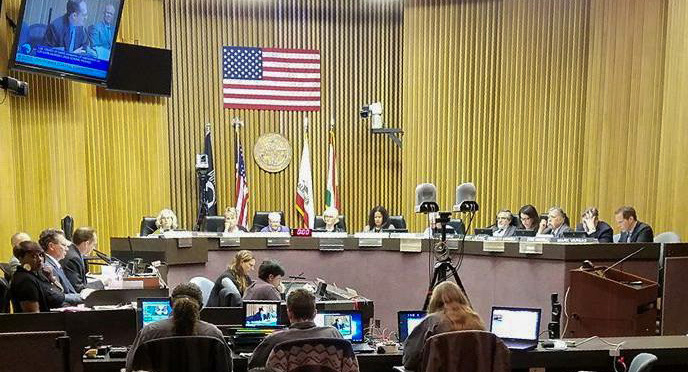 The Coastal Commission hearing was held in the County Supervisors’ chambers in downtown San Diego. The vote was 5-7 on a motion made by our region’s representative, County Supervisor Greg Cox, for a west side placement. He spoke knowledgably and comprehensively about the reasons for supporting the city and SANDAG’s preferred placement. I am grateful for his support. After that failure, the next motion was to require the building of the rail trail east of the railroad tracks through Cardiff – it was supported unanimously by the 12 commissioners. This was a tremendous disappointment for many of us. The city and SANDAG did everything we could to prevail at the Coastal Commission. As mayor, I gave an impassioned presentation, complete with pictures and aerials. SANDAG planner Linda Culp emphasized the discretion given to SANDAG to determine the best location, and the environmental and physical problems with constructing the trail east of the tracks. Council Members Tasha Boerner-Horvath and Joe Mosca also spoke in favor of the west-side plan. Many other residents and advocates spoke as well, on both sides of the argument. Two recent pictures taken on the the rail corridor’s east side that show the spring wild flowers. Here’s the link to the San Diego Union-Tribune article about the decision. Video of our section of the meeting can be found here, beginning at seven hours and 31 minutes (7:31) with my argument beginning at 7 hours and 58 minutes (7:58). No kidding, and the entire meeting lasted over 13 hours! After sitting through seven hours before our turn came, I was struck by the limitations inherent in their process. The commissioners have three days of dawn-till-midnight hearings on major statewide issues that aren’t in their home communities, documented by voluminous factual and legal records. Many of the commissioners are elected officials, who undoubtedly spend the majority of their time and energy on their own cities’ priorities. They meet every month in different parts of the state. Because there is no way they can grasp the nuances of every project, they rely on professional staff to vet and synthesize. When arguing a point before any governing body, it’s unquestionably better to have their staff on your side. In our case, the Commission staff was against us, making the argument that there was no physical or environmental constraint to building the trail east of the tracks inside the rail corridor, where it has been planned for the last 20 years, and therefore Encinitas shouldn’t be allowed to deviate from the plan. Several commissioners who voted against us didn’t speak at all, so it’s hard to know what their reasons were, or how deep into the legal or practical analysis they got. The Coastal Commission takes heat for many of its decisions. Nearly every issue they decide is contentious. It seems like a thankless, high-stakes job, and their judgments have weighty consequences. The strange irony is that I could easily imagine Coastal Commission staff arguing for our side – that the native habitat, sandstone features and the vegetation-rich areas in the rail corridor needed to be protected and requiring the bike highway to be built where it’s already paved, on the ocean side of Highway 101. Coastal Commission staff, and others, repeatedly suggest that we should do both east and west-side projects. They say that nothing stops us from doing the Highway 101 west-side improvement outside of this rail trail process. This is easy to say, but difficult to do when you’re responsible for the city’s budget. Both the raw dollars and the operational limitations of the city staff’s managerial and technical capacity make this idea impractical, at least for the next couple of years. The Coastal Commission is the final decision maker. They were the appellate court and there isn’t a higher body to take our case to. We now have to adapt, doing the best we can with the realities in front of us. I know some residents are thrilled with this outcome, and others are disconsolate. Because SANDAG is legally required to build the rail trail as mitigation for widening the freeway, it’s clear that we have no choice but to dust ourselves off, accept this new reality, and move forward to craft an east-side rail trail that best reflects the spirit of its natural surroundings and of Encinitas. 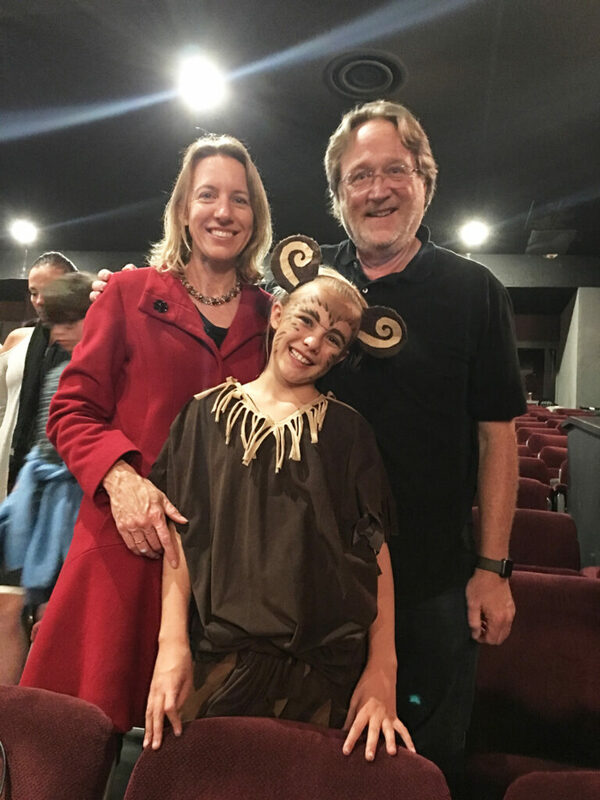 Our friend Scott Chatfield joined us at Oceanside’s Star Theatre Friday evening to watch our 9-year-old daughter Ava Blakespear perform in a live production of The Lion King, Jr. She played a monkey, loving every moment! Their last show is today at 2 p.m. And happy Mother’s Day to all the moms out there!